As always the keynote was grand, and didn’t disappoint in spite of the high expectations.. but it was just the beginning of Apple’s 5-day mega tech event, the Worldwide Developers Conference. With around 6000 participants – including the “randomly selected attendees” like myself, scholarship winners and Apple employees, it was a masterpiece of organisation. And it has been a wonderful experience. The rest of the conference was a mix of tech sessions, interactive labs, special guest speakers and entertainment events. This year’s guest speakers included: Michelle Obama, Christine Darden (first African-American woman in senior management at NASA), Todd Stabelfeldt (who has lived with quadriplegia since 8, a noted expert in technologies for persons with disabilities), and Miral Kotb (inventor of iLUMINATE – groundbreaking light suits used for mesmerizing dance performances). The sessions were great, and of very high quality – the design sessions were especially delightful to attend – but what made it special to be here in person was the chance given go one on one with Apple engineers, designers and other experts on App related matters, which was remarkable, considering the scale of the event. Ticket Wallet for iPhone. is now available. The app offers easy and convenient storage for Indian Railways SMS e-tickets – with built-in PNR status quierying, quick link to train enquiry and sharing options. Also has the berth & Seat calc. 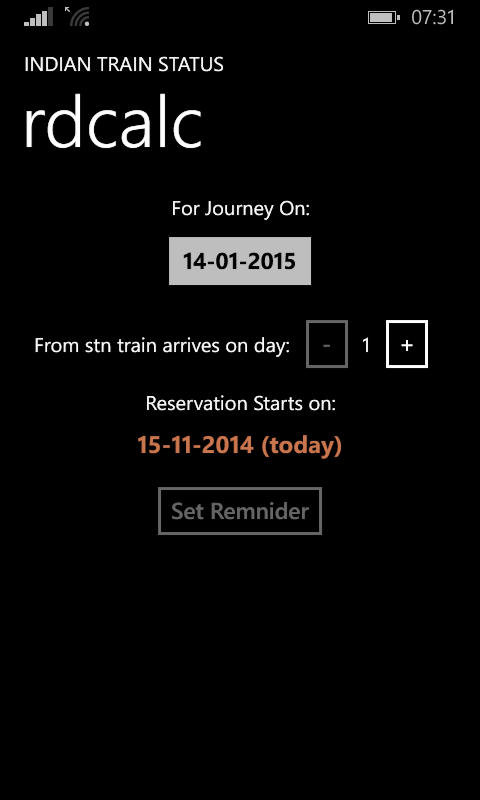 Note: The app is compatible currently only with the SMS sent after booking at the IRCTC website. Just copy the railway ticket SMS and open the app, it will offer to save it. No more searching around for the ticket SMSes – all the SMSes are saved in one place. There are options to check PNR status, open the train enqiury site to get live status and schedules and also to share the ticket via the standard messaging options available on the handset, including Air Drop, if available. 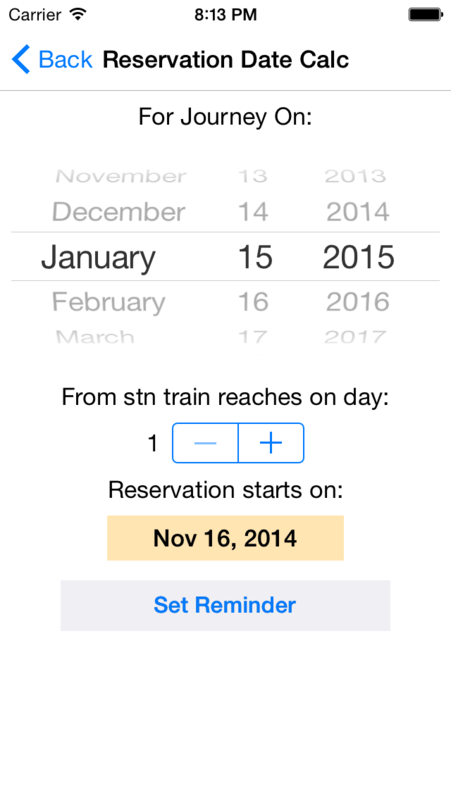 PNR status caching is available, which enables quick rechecking of the status and berth / seat nos without going online. And finally, there is the unique Berth and Seat calc, to look up the confirmed seat and birth positions. No longer wonder whether its a middle berth or an aisle seat! 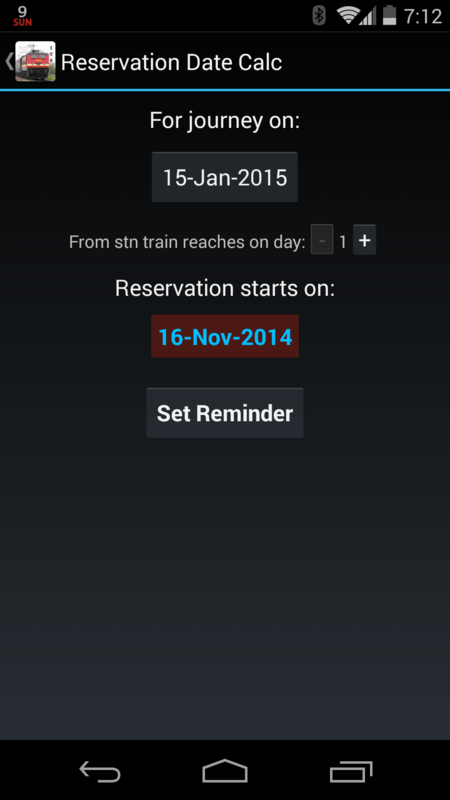 Indian Train Status – Quick Tip: Paste the Entire PNR SMS! Noted in a review for the app: “am looking fwd to pasting the entire SMS for finding PNR status”. Well dear user, your wish has already been granted! If you copy an entire SMS, go to the app (in Android) and hit paste, the PNR contained in the SMS alone will be pasted automatically, and the status enquiry will proceed. In iOS, if you copy an entire SMS with PNR, and open the app, the PNR will be already pasted there, just hit Check to proceed! In the latest update, Indian Train Status v4.6 for Android, and v2.8 for iPhone, the option to save Time Tables for offline viewing has been added. The icon has also been updated. While traveling in a train, it is far more accurate to compare the saved time table, with the GPS location on the map to get the train status rather than depend on live status from trainenquiry.com, which is often inaccurate. So accurate it could be called “Ninja” train status!